The demands of a contemporary or modern website are pretty typical. You have to develop a responsive website. The content management system should be easy to deal with so you don’t have to rely on a webmaster or website developer to upload every new piece of content and make every necessary change on the site. You would need social media plug-ins, handy widgets and supremely efficient navigation. The ideal themes would also be retina ready and should be easy to optimize for the search engines. Beyond the contemporary necessary features, you may look at myriad design elements. There is truly no limit to what you may desire in some of the best free modern WordPress themes. It is almost impossible to cater to every sensibility. All one can do is compile a list that will have the necessary features, be easy to work with and should have an impressive design. 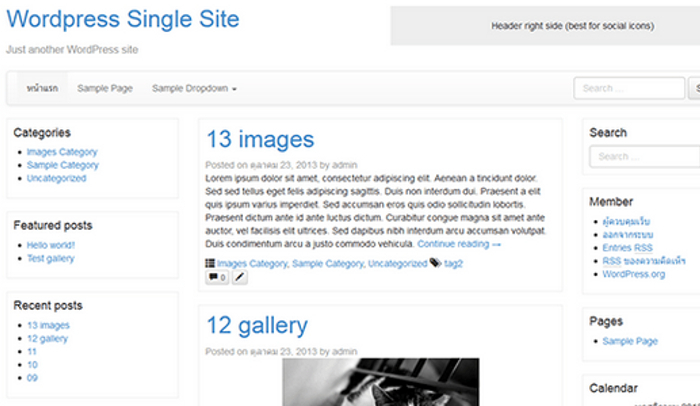 You can always customize various elements of the themes or templates anyway. 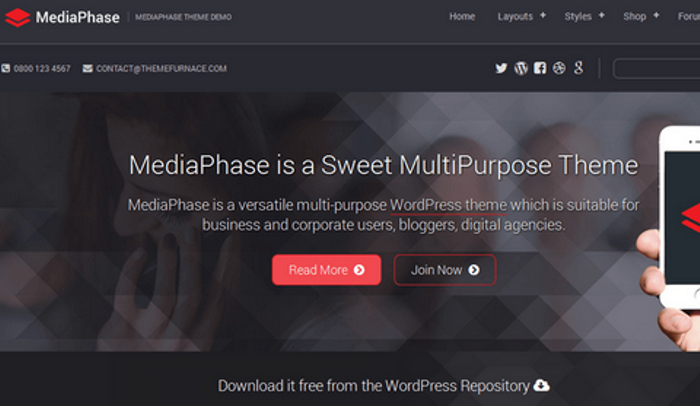 Also known as MediaPhase Lite, this theme is versatile and it can be used for myriad purposes. It is ideal for corporate websites or small business websites, bloggers or online shops, ala your ecommerce sites. The theme will also be apt for digital agencies, freelancers and niche websites. There is a homepage with a full-featured layout. You can opt for full width or boxed layouts. 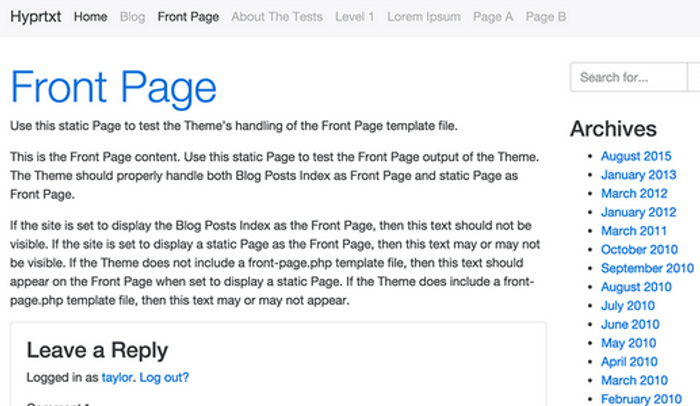 There are many blog templates and you can choose from anything between a traditional layout to grids and more. MediaPhase Lite is compatible with the WooCommerce plug-in so your ecommerce needs are met. It is a completely responsive design so you wouldn’t need a website for desktop and another version for mobiles. The same website will get optimized for all browsers and displays, including the different operating systems of the smartphones. There is a Customizer that allows you to work on everything from the homepage to the call to action ribbons, the various feature buttons to the fonts, widgets, plug-ins, links, news sections, logos, header, footer and slider along with everything you can think of. Business One is again one of the finest themes for small businesses, midsize enterprises and corporate websites. The theme is completely responsive so it is adaptable to the myriad devices and browsers out there. The entire theme is customizable and optimizing the website for search engines shouldn’t be a tough task. Sure, you would have to work on the textual and visual contents but the layouts, the various placements of different important sections and the setting up of the website will make everything from indexing to uploading new optimized web content regularly a cakewalk. 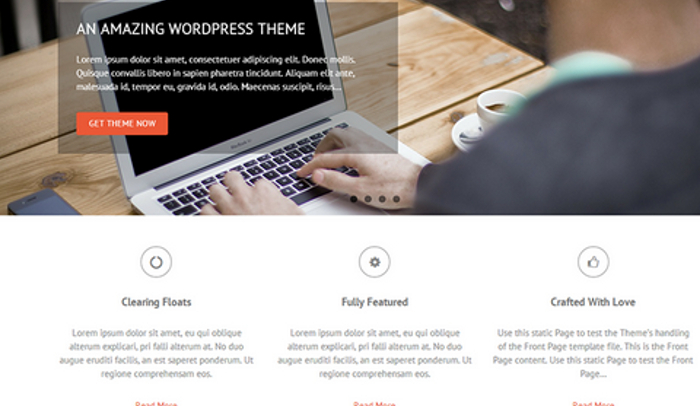 The theme uses Twitter Bootstrap 3, Font Awesome and Microformats. Based on the Redux Framework, you get to work on various theme options. There are custom fields, contact form, integrated Google Maps feature, widget sidebar, custom post categories, different page settings to choose from, background support, a fully customizable menu and the plethora of Google fonts to work with. 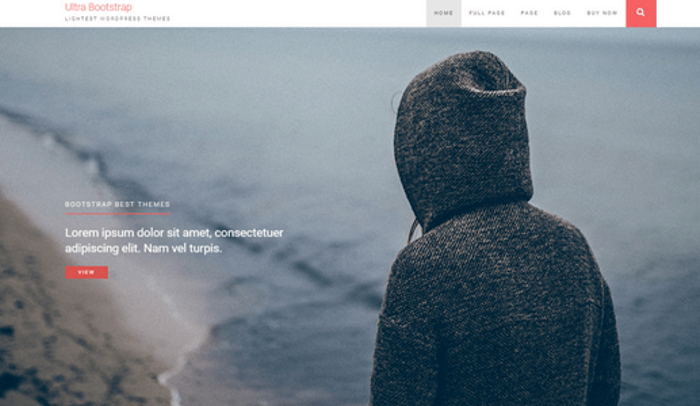 You can choose dynamic widgets, masonry layout or opt for a parallax theme. 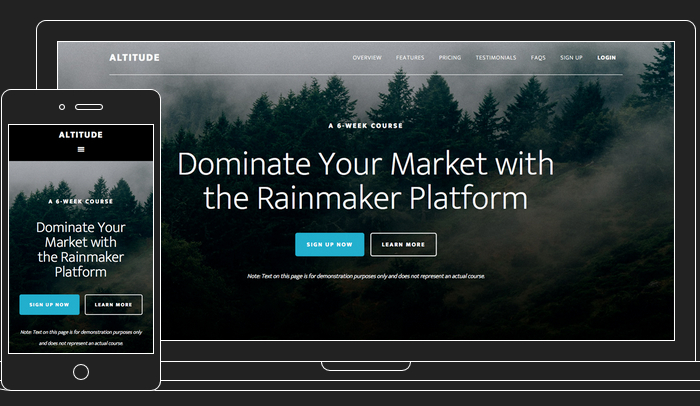 THBusiness is just as ideal for blogs as they are for portfolio websites of companies. The theme is highly apt for digital agencies and any type of service provider. It is also suitable for manufacturers or niche companies. The theme has an elegant layout, which looks simple apparently but if you delve closer then you would really like the details. It is a very neat design which obviously you can toy with. You can drag and drop widgets into the dedicated areas. There are four widget sections with six featured widgets. You can work with Twitter Bootstrap. 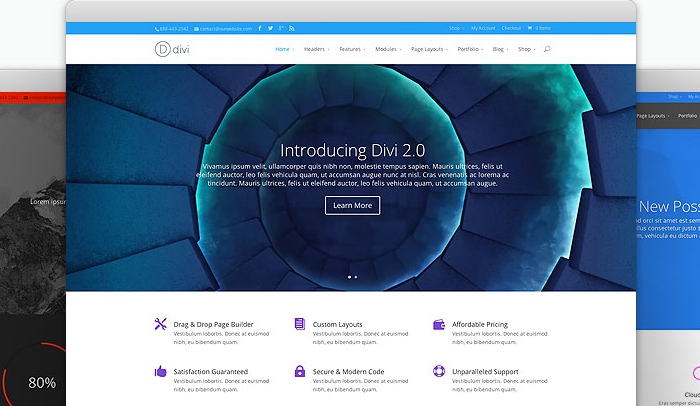 The theme is responsive with full width slider, a rich theme customizer and a well detailed options panel which will make your customizing and subsequent optimization of the website a rather convenient job. THBusiness is the kind of theme that makes your job easier while ensuring that you don’t compromise on the quintessential elements of the best free modern WordPress themes. Spirited Lite is not a path-breaking theme. It would not surprise you or swoon you. It would simply satiate your needs. If you want a simple, minimalist, elegant and highly utilitarian website, then this is one of the best free modern WordPress themes. A fully responsive theme, Spirited Lite is great for industrial and commercial websites, personal and business websites in equal measures. 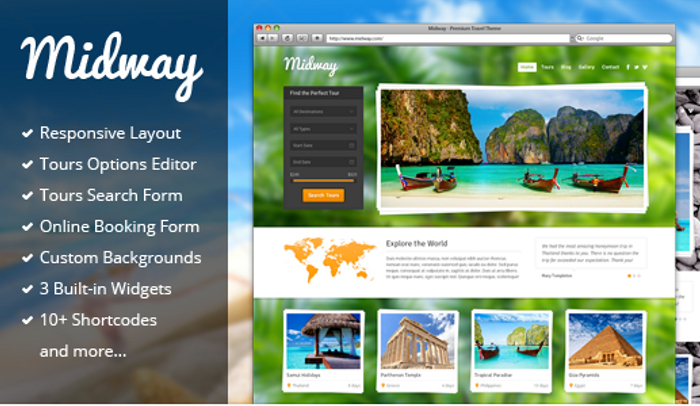 It is a truly multipurpose theme compatible with Nextgen gallery and WooCommerce. Alchem works on Bootstrap, HTML5 and CSS3. Completely responsive in its design and loaded with prebuilt layouts that can be easily enriched by choosing the right features, Alchem gives you plenty of freedom to toy with the width of the site, background colors, logo, header and footer, social links, the columns and sections, feature box and testimonial among others. This is a great theme for businesses. Creating a site is no longer something that requires expertise and extensive knowledge in web design. It is now possible for just about anyone to create a popular website or blog. When you are beginning the process, it is important to consider the type of site that you are trying to build. 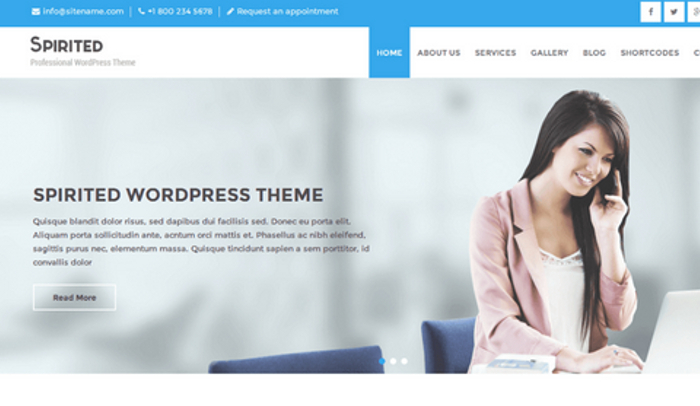 WordPress themes are designed to be the simple solution to web design and there are so many options to choose from. You can narrow down your options by thinking about the niche market that you are catering to. If you are looking to create a website for your retail shop, there are wordpress theme options specifically designed for this use. This means that if you want to appeal to people looking for retail products that you offer, you should choose to use a wordpress retail theme when designating your site. Different types of sites require the use of different types of features. This will enable you to create just the right style if you choose from retail wordpress themes. Here are the best free retail wordpress themes that will help you promote your business online. This is a visually appealing theme that is designed to have a sleek layout, but is also completely responsive. This means that the site will automatically adjust to the type of device that is used to access the site. For coffee shop sites, many of the visitors will be accessing the site from a mobile device. This means that your site must be responsive in order to ensure that you do not miss out on any visitors to your site online. This is a theme that allows you to display a powerful and flexible product list. You can use the builder feature to add all the items that you wish to promote on your website. There are even 28 custom icons that you can choose from. There are mapping features and layout customization features that allow you to change the overall design of the site using various logos, colors and backgrounds. 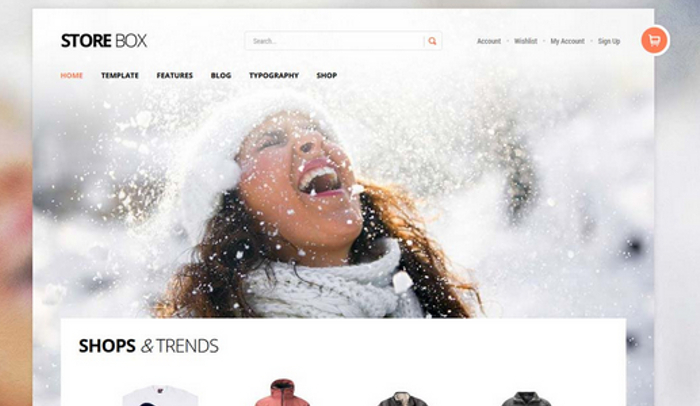 This is another popular retail wordpress theme that is really beginning to get a lot of attention. It allows for a professional looking layout and has extensive features that help you build a mobile friendly website that gives customers just what they are looking for. No matter what specific retail market you may be in, there are many great themes that you can choose from. 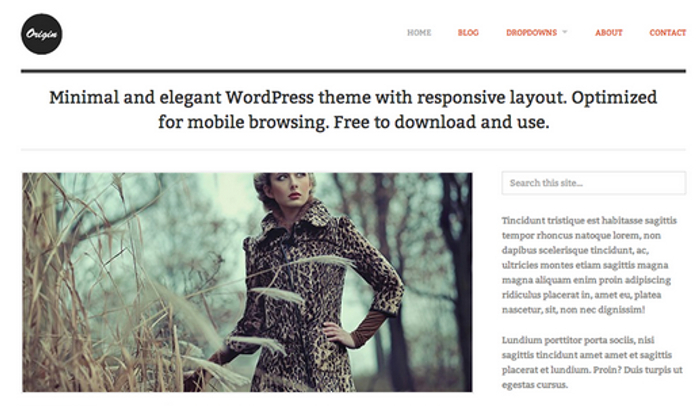 There are hundreds of Bootstrap WordPress Themes. You would find at least a hundred on WordPress.org and you can check out many more on third party sites that have themes compatible with WordPress. Bootstrap has become a very popular frontend framework and as more people take to using it to develop its websites, there will be more themes and templates catering to the needs. The real issue isn’t in finding the best free Bootstrap WordPress themes. The struggle is to identify the ones that would be the easiest to deal with. The templates would be rather simple to check out for their design, aesthetics and how they may suit your niche. Whether you would have an easy ride working with Bootstrap while developing the site or not is the main question. 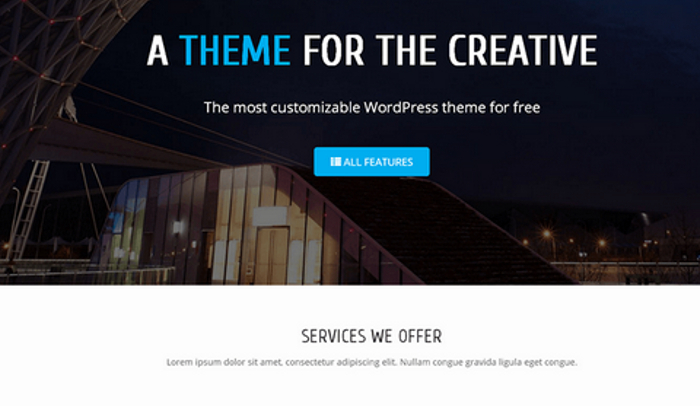 Here are some of the best free Bootstrap WordPress themes that are quite easy to deal with. This is a multipurpose theme available for free. Featuring sliders, custom background, highlighted posts, custom colors, homepage layouts with welcome message, different theme options, right sidebar in blog page and an extensive customizer, the template can be really worked with to meet the specific checklists you have for your website. There’s substantial support for the theme and you can also check out a free demo before taking the plunge. 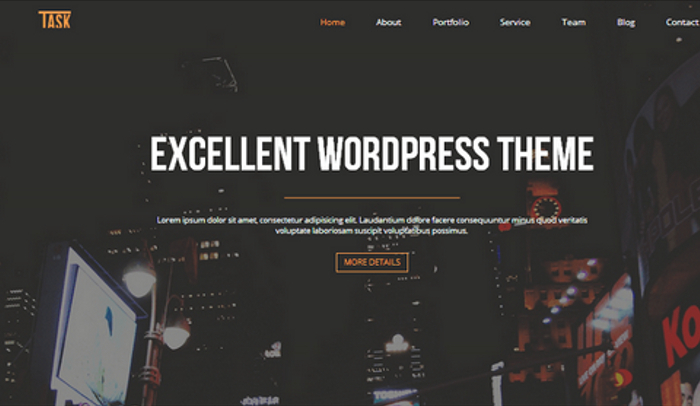 This is one of the simplest best free Bootstrap WordPress themes you would come across. Not every website needs to be elaborate. There are needs where content is the focus and you would rather have a simple blog layout with smart archiving and the ability to facilitate comments in a simple interface without complicating browsing or navigation and the overall user experience. For such uses, developers should rather opt for this versatile and responsive design. 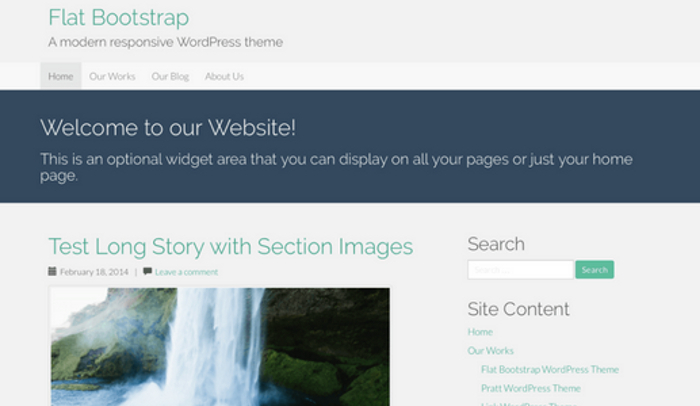 This is surely a starter theme compatible with Bootstrap but it is good enough to get started with. 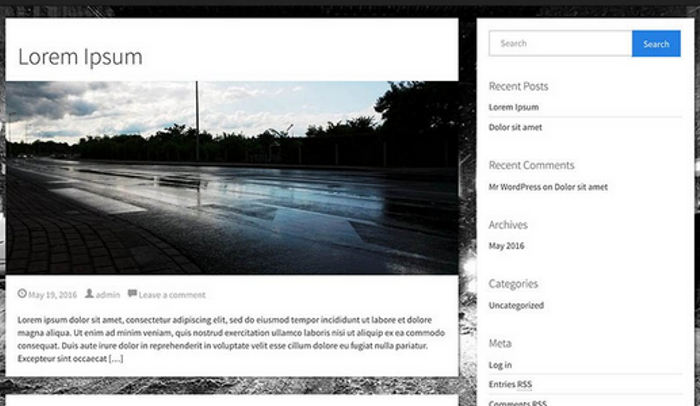 This is again a basic WordPress theme that uses Bootstrap. It is ideal for small blogs, discussion forums or just for message threads. It is not for an elaborate site but can cater to business or individual needs where an audience must be engaged with. The biggest advantage with Simple Bootstrap is the convenient development process. Since there are very few extensive features, you will have your website set up in no time. One look at the representative image of the theme and you would think it is one of those simpler designs of yesteryears. It is actually not. Flat Bootstrap is very contemporary. The entire layout and design is responsive. 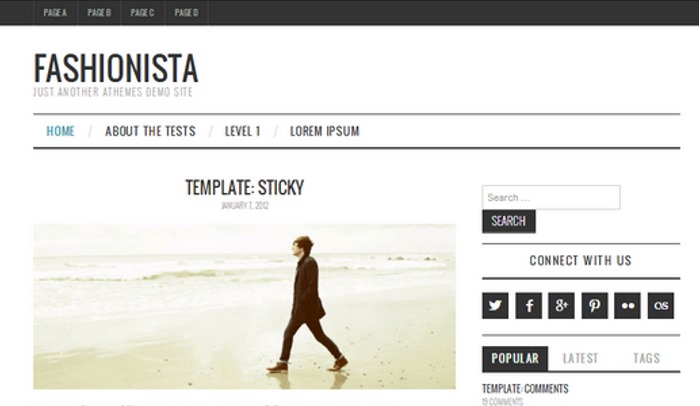 The flat style theme helps to work on the color palette, the full width images and various full width sections. The website you develop using this theme will conveniently fit on desktops, browsers on mobile devices and the displays of tablets. 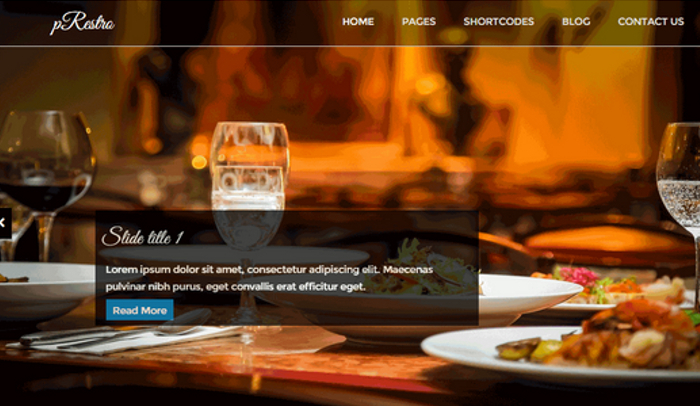 It uses the Twitter Bootstrap CSS framework which is easily among the most popular. The theme comes preloaded with a mobile navigation bar, buttons and multiple columns in a grid, icons and badges, labels and tabbed content areas, progress bars and collapsible content areas, carousels or sliders and alert boxes along with several other features. This is a simple theme but ideal for starters. It is very easy to use and more importantly it doesn’t compromise on the imperative elements of a good website. While being convenient to use, it still ticks off all the necessary checkboxes. The Bootstrap v.3 Basic is the more recent theme. This is an adaptable design that looks most appropriate for restaurants but it can just as well be used by any company in the hospitality industry. The theme is contemporary with modern sensibilities in mind. It uses Bootstrap 3x and CSS3. The theme is responsive and the frontend can be optimized for tablets and smart phones in addition to obviously being suitable for desktops. The theme is retina ready, has full screen sliders and necessary widgets which look rather cool in this layout. It is a busy theme. There appears to be a lot going on with the layout and how the website would have its navigation directed and redirected from one webpage to another. But if you look closely then it is very simple. It is just that multiple contents are toyed with to offer a fuller browsing experience. As the name suggests, you would find it most appropriate to use this theme for news websites, magazines and blogs on photography, fashion or anything that involves a rather artistic or image based interface. However, you can also go hard on textual content. The theme is SEO ready, retina ready and has integrated social links. You would build the website using Bootstrap, be benefited with Google AdSense banners, custom backgrounds, tags, filtered categories, boxed layout and there is a live customizer. The definition of unique is a perplexing reality. What’s unique for you may not be unique for someone else. It is not all about subjectivity or difference in opinion, preferences and needs. At times, it is just about having a few checkboxes ticked while ensuring that the design stands out. A website design or theme that is unique in the realm of medicine may not be so different in the field of applied physics. A website theme being used by a realtor may be completely new and different but using it in advertising may not be so unique if similar ideas have been explored and similar designs have been used already by some marketing brands. It must be noted that unique is not confined to design and it is not all about being completely different or out of the world. Unique is essentially about catering to your needs. If you have a distinct theme that works for you and caters to all your needs, including your strengths and weaknesses, then the theme would certainly be appropriate. Else, you may want to keep looking. Here are some of the best free unique WordPress themes that you might want to consider. 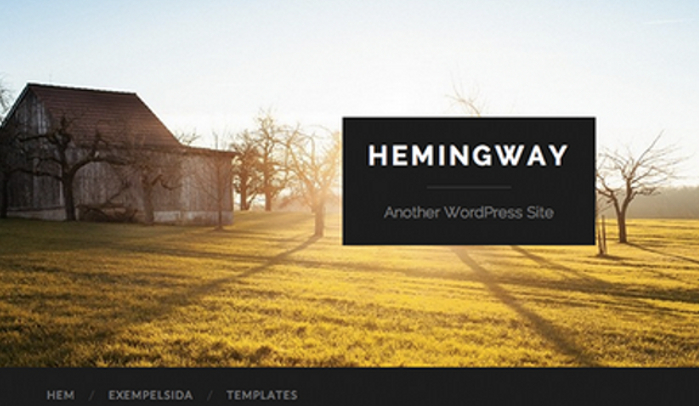 Hemingway can be considered as the classic blog theme. The biggest advantage of Hemingway is that the theme will stand the test of time. Millions of webmasters, website designers and developers ransack their minds in an attempt to come up with designs or layouts that wouldn’t become dated in a year or two. Sadly, the time we live in has made it almost imperative for most people to keep changing the layouts and the visual features of the website. Hemingway strikes the right balance between being unique and having a design that will not be outdated or outdone in some months. The traditional typography, the large texts making the website more readable, the two-column layout with its elegant appearance and the luxury to use it for desktop websites and mobile websites make Hemingway one of the best free unique WordPress themes. 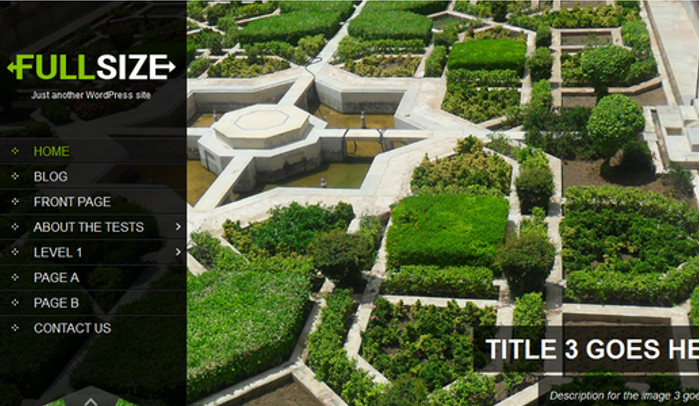 SKT Full Width works really well when you have a large feature image to showcase. If your website is going to be image heavy or you have a more visual experience to offer to your audience, then this theme will be appropriate. The overlay text for the descriptions, the easy navigation and the fuss free layout would certainly impress your audience. You must however consider the possibility of the large images being distorted or stunted due to limitations or display problems of the device being used for browsing. Other than that, SKT Full Width offers an immersive viewing pleasure for the audience which will be welcomed by many industries. Origin is minimalist, simple and clean and yet it offers an engaging experience. The homepage has a very nice blend of a feature image and a ton of text. Any website that must have some verbose content to impart information will do well with this layout. The theme does a really impressive job in managing the multitude of contents that would go up on the page without messing them up. If you look at the two to four sections of different textual pieces that can be highlighted then you would realize how niftily the layout has been put together to keep the presented sorted and easy to browse. This is a great website for a blog, news website or just an informational website where textual content must be prioritized. This is a website theme ideal for reading. As the name implies, this is a theme for fashion blogs or magazines, beauty tips and any website that has to do with style, apparel, makeup or cosmetic health. The light and upbeat design with a tinge of freshness and a host of plug-ins make this a well provisioned website template. The most rewarding factor of the website is that it can be high on content, engage the audience and keep them hooked, all the way while opening up a channel of communication with the readers. There’s plenty of action on the sidelines to offer an interesting browsing experience to the user. This is achieved without making the sidebars and supporting menus too distractive. Some other best free unique WordPress themes are Hatch, Optimizer, and Longform. Hatch is great for photographers, illustrators and artists. The grid layout, the ton of images that you can upload and yet a simple interface to not perplex the audience will work wonders. Optimizer works very well for those who want a retina ready responsive website. The design is suitable for anything from blogs to portfolios. Longform is for storytellers. It is a highly customizable website theme with a responsive and retina ready design. If there is a narrative to offer, then this is your theme. The only way that you can have any notoriety or brand loyalty is to create a website that is recognized online by all the most popular search engines. This is only done by having an SEO optimized site that is functional, responsive and visually appealing. If you do not have a background in web design you might feel that it is impossible to create a website on your own, but this is not the reality. Html5 WordPress themes are available for people that are not familiar with web design and do not have a lot of experience. Some themes are more advanced than others and require the use of more codes, but there are many html wordpress themes that you can try. When you have a website, it is important that it can be accessed using different types of devices or desktop computers. You do not want to limit the amount of users that can get access to your site in any way. Using this theme will ensure that your website is automatically adapted to mobile devices of all types. More and more people are choosing to access websites through the use of a mobile device. This is a theme that is great for any type of site and offers basic features including 9 templates, 11 widgets, 6 layout options and 4 different menu positions. This means that it is designed to be easy to use, but it is still customizable in some way. 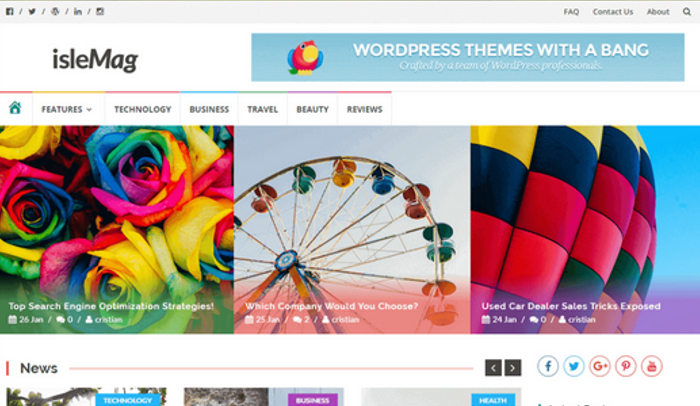 It has many reviews, but the majority of the reviews on this wordpress theme are positive. It is a theme that you should definitely give a try if you are a beginner. If you have a website that needs to look more professional or be used to display a portfolio, it might be a good idea to give this theme a try. It offers many different options and features that you can choose to customize the design and layout of your site. This means that you can create a site that looks and feels like your own. It offers the feature of a responsive slider generator that enables you to use call to action text. This will allow you to build your list with ease. It is one of the most downloaded html5 themes and is highly rated, which means that it is a reliable option. It is a theme that is designed for people looking to create a professional site without a lot of web design experience.